The F SCAN MOBILE offers mobility and comfort. 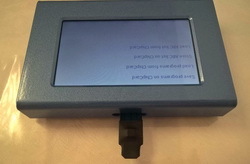 All settings and commands are entered with the display pen on the colored touch screen. 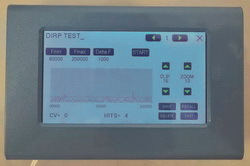 The device has a multi signal output port for sine wave, adjustable square waves (full wave and dc-offset), smart wave. 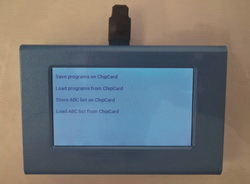 All connectors supporting applications are accessible from the front. Multi-signal OUTPUT port for sine- and square wave signals and smart wave. 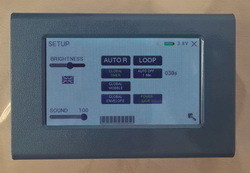 Multi-signal OUTPUT port: All signal forms are available on this port. 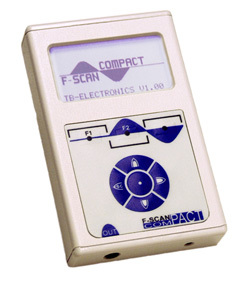 The device switches automatically to square wave signals if the frequency value output is below 65’000 Hz and to sine wave signals for frequency values above 65’000 Hz. The user can override this assignment at any time with a touch on the wave form icon on the display . 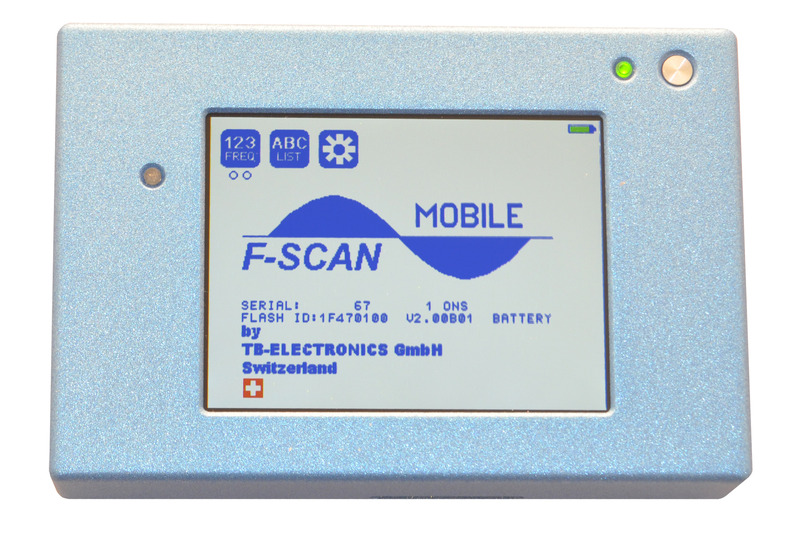 The ChipCard PLUS makes simple and fast data exchange btween F-SCAN MOBILE and F-SCAN3 possible. Price: CHF 2700 (incl. 8% Swiss VAT). Product design, specifications and prices are subject to change without prior notice.